Middle Eastern Robe For the Prince Who Has Everything Else! 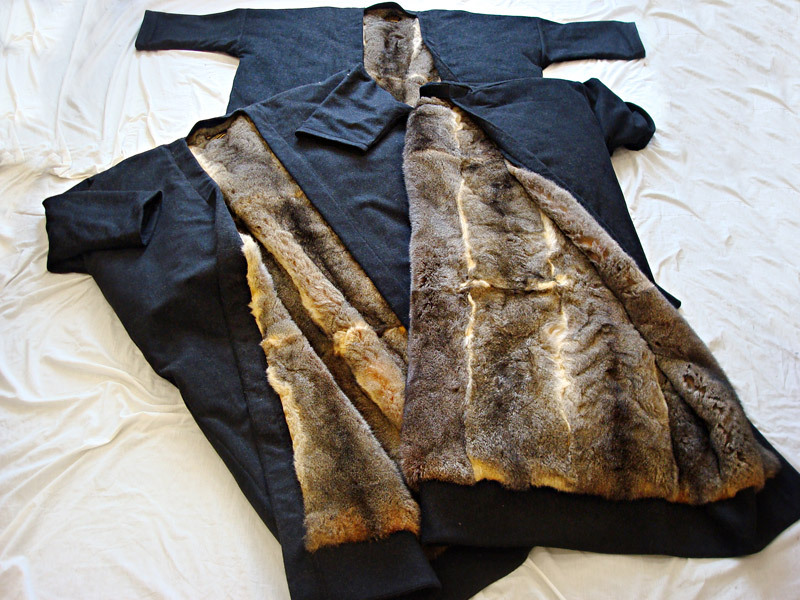 A Furwah is an Arabian robe traditionally worn by men to keep warm in the cold desert temperatures. They are normally lined in faux fur or sheepskin but why not line it in possum fur for the ultimate in Middle Eastern fashion! This garment would be worn in the desert at night when Saudi Royalty are entertaining under one of their huge tents with rugs and cushions spread out and guests being served delectable dates and coffee. Outside, guests would settle before a huge brazier lit fire all rugged up in their Furwahs, look at the stars and tell stories and enjoy the comraderie that comes through enjoying nature in this wondrous setting of splendid isolation. Whilst spending the night there, the Furwah is spread out and used as a blanket and is more cozy than 10 camels! 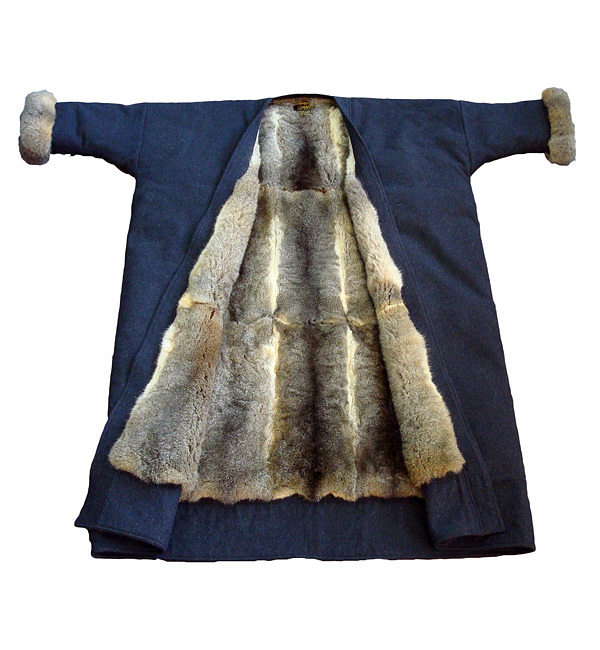 Our Furwahs come in one super huge sizing utilising up to 35 possum fur hides on the inside with grey Italian Cashmere Wool on the outer - this is so big that one can be enveloped in warmth even in sub zero temperatures. This item is the ultimate in gifts for Royalty or for the man who has everything else.